Service is generally good aboard this and other Oasis class ships, and the entertainment is what we consider to be above average in the cruise business. The great thing about Royal Caribbean is that they have so many ships, they employ a large number of entertainers. If you make several voyages, you’re likely to see different shows each time. 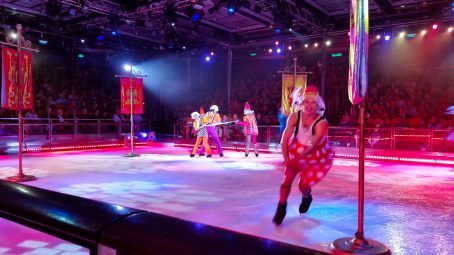 With the exception of the main stage shows and ice performances, you’ll even see different performers each time you sail on the same ship since they tend to rotate through the fleet. The ice performances and main stage shows, of course, are often specific to one particular ship because the sets are complex. The Royal Promenade aboard the Oasis of the Seas is located on Deck 5. It’s the central part of the ship where you find many of the shops, pubs, and cafés. Photo by Donald Fink. 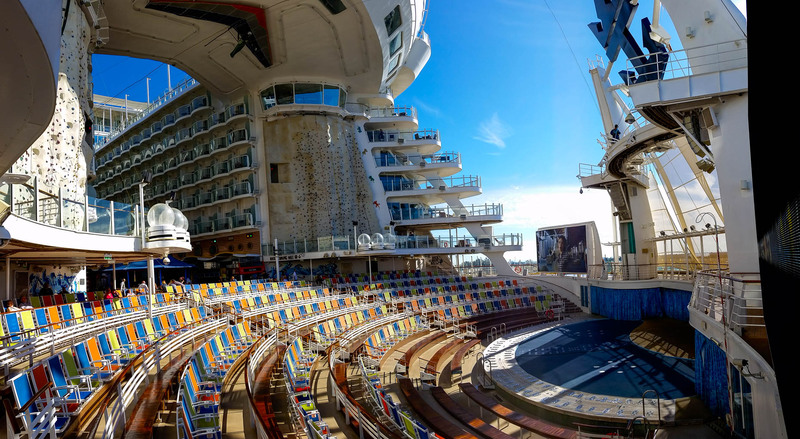 When you enter the Oasis of the seas for the first time, you enter on deck five and are presented with the Royal promenade. This is like the Freedom class ships in that it’s a central area designed to look like a street; maybe a typical small town in western Europe, or so it seems to us. There are shops and cafes, bars, just about everything you could need if you were visiting a small town on vacation. Our favorite haunt was the Café Promenade. It’s a small café centrally located in the Royal Promenade that we used for our daily “people watching.” We would usually head down to the Café Promenade in the mornings after breakfast for another cup of coffee and a bran muffin. They serve up complimentary muffins and pastries, with sandwiches at lunch and dinner. Coffee and tea are also on the house, but you can buy specialty coffee drinks too. It made for some good competition for the local Starbucks that was located towards the forward end of the Royal Promenade. 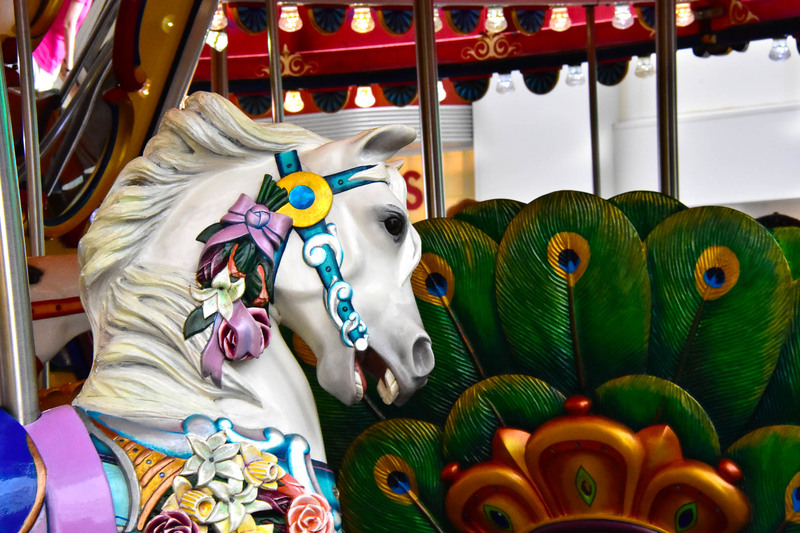 Closeup of one of the horses on the Boardwalk Carousel. Photo by Bonnie Fink. Johnny Rockets is a hamburger chain that also has restaurants aboard the Oasis class and Freedom class ships. There’s an extra fee for lunch or dinner here, but aboard the Oasis of the Seas, breakfast is complimentary. We recommend Johnny Rockets if you’re looking for a burger that takes you back to mid-twentieth century America. They’re pretty close to the real deal as we remember them. Try the Peanut Butter Milkshake. If it’s not on the menu, ask for it anyway. At the very back of the ship is the Aquatheatre. This is a pool that is close to thirty feet deep. 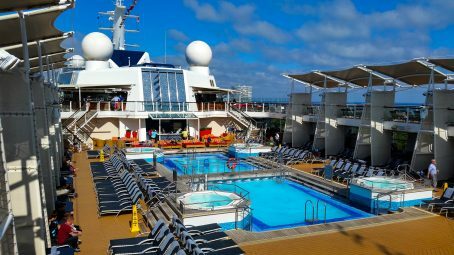 You can take SCUBA lessons in this pool, and yes, there’s a five-star PADI dive center aboard the ship for this purpose. But the real reason for the Aquatheatre is for the show. 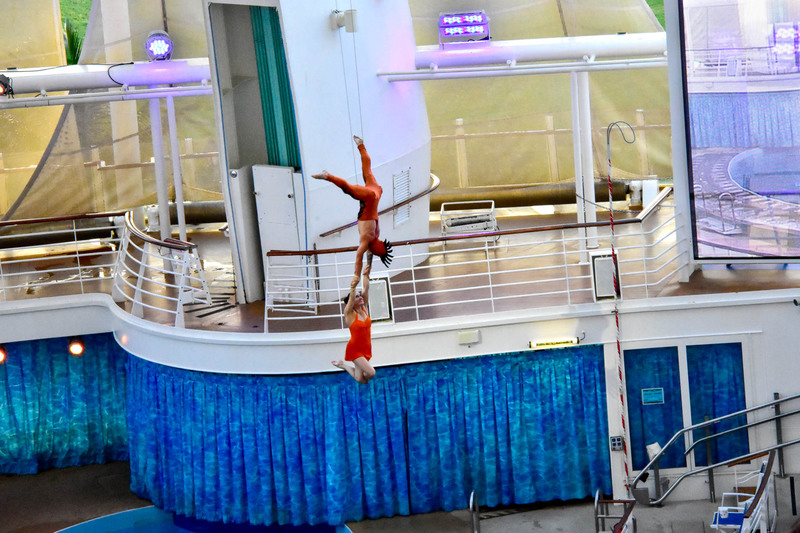 The Aquatheater presents one of those kinds of shows that you should plan to see early in your cruise, because you’re probably going to want to see it again. It’s hard to categorize, but the show you’ll see here involves water, high-divers, acrobats, and arial performances. Think of a circus-like stage show with a large swimming pool that is sometimes a pool and sometimes a stage, and even both. The stage raises above the water to provide dry land for performers, then lowers into the water for swimmers and divers. 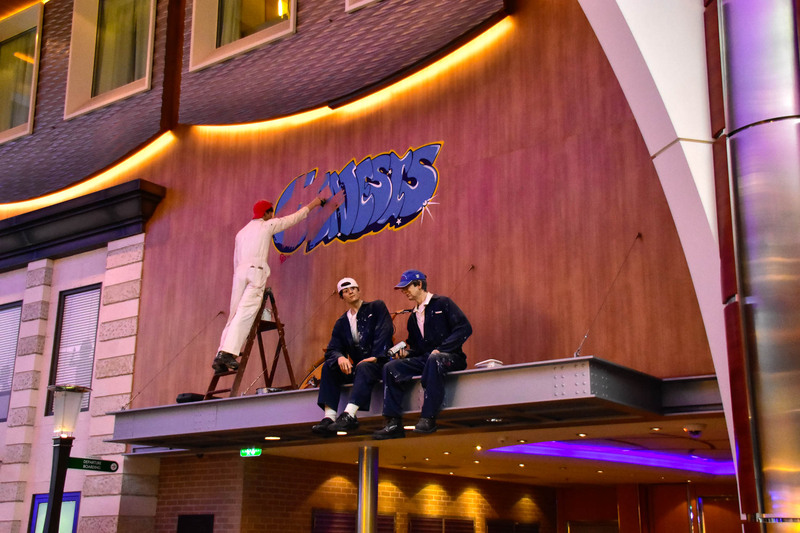 There are also two rock climbing walls aboard the Oasis of the Seas, and they’re located at the Boardwalk. You can find several very quiet and private areas to sit at Central Park, on Deck 8. Photo by Bonnie Fink. Up on deck 8 is Central Park. This area is also open to the outside, but is located in the central part of the ship. In other words, it’s open to the sky with stateroom balconies along each side, but the front and back are closed. The unique thing about Central Park is that it’s what you might expect by the name. it’s a park, complete with lush greenery and trees with walkways. And yes, the plants are real. 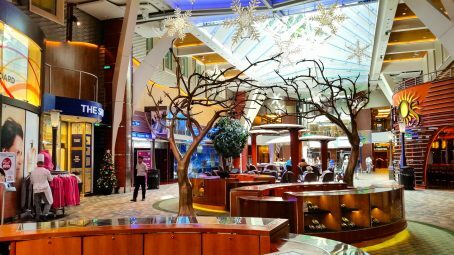 Along the walkways, you can encounter a number of shops and restaurants, including the Royal Caribbean signature steakhouse, Chops Grille. There is also a restaurant called 150 Central Park that is elevated even above Chops Grille. 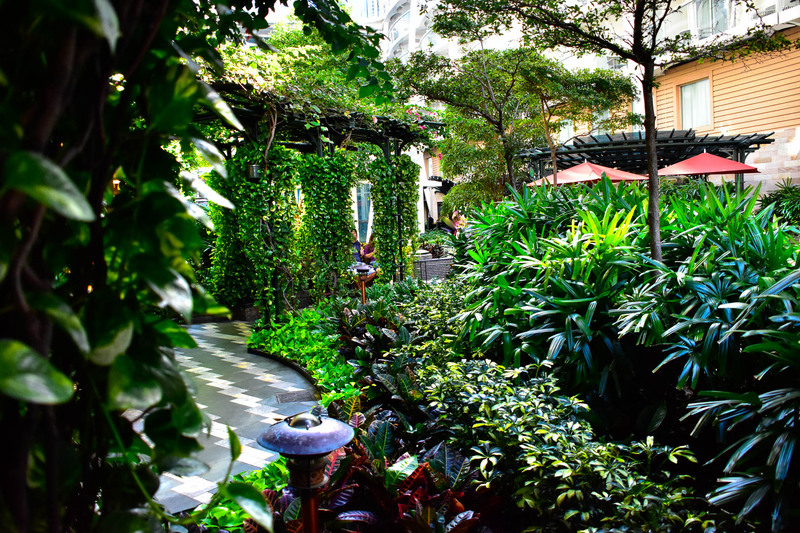 For a complimentary lunch or dinner, there’s the Park Café, which is very popular. There are three and a half bars in Central Park. We say three and a half because the rising Tide Bar is on a hydraulic platform. Part of the time it’s in Central Park on Deck 8, and part of the time it’s on the Royal Promenade on Deck 5. When it’s in the Central Park location, there are fountains below it in the Royal Promenade. Looking down on the swimming pools and 4 of the hot tubs on Deck 15. Photo by Bonnie Fink. 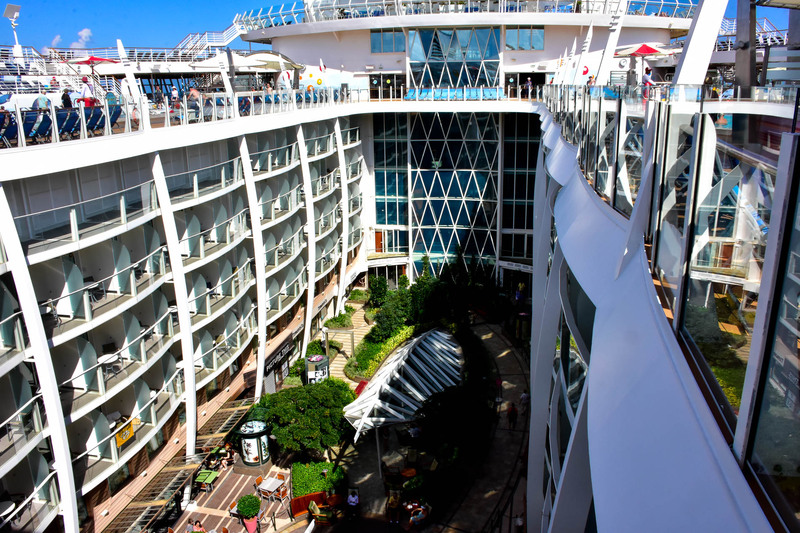 Decks 15 and 16 are where you might expect all the regular outdoor activities to be on a cruise ship. The pools, golf course, zip line, and the two Flowriders for our surfer friends are located up top. There are four pools and six whirlpools aboard this ship. 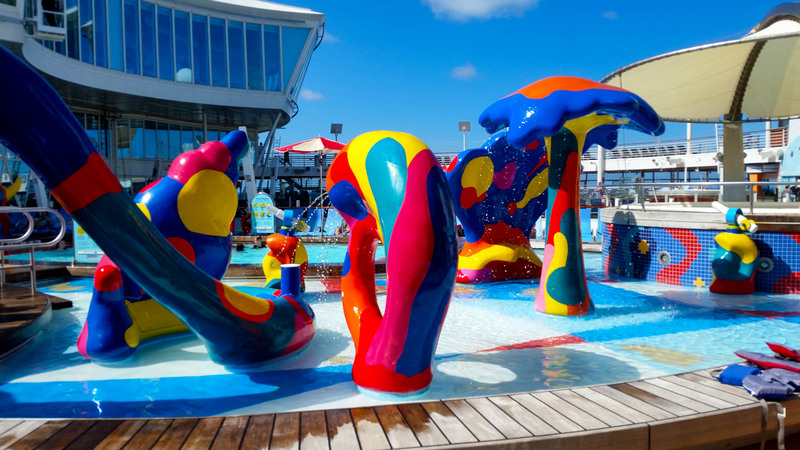 There’s one pool designed primarily for the youngsters with bright colors and water features, but there’s also an area set aside for the more mature crowd, meaning guests sixteen and older. 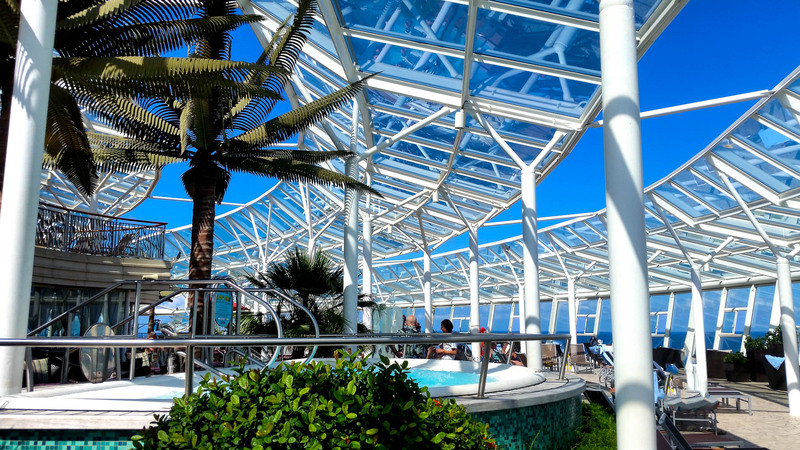 This is called the solarium and is located in the front of the ship on Decks 15 and 16. There’s a couple of whirlpools, a café, bar, and plenty of areas for sunbathing and relaxing. It’s a quite oasis on an otherwise lively ship. 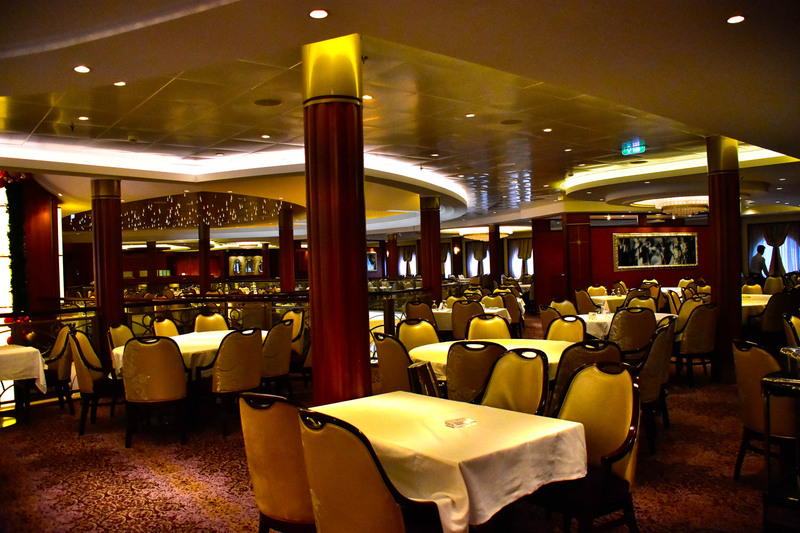 Deck 16 is also where the main buffet style dining area is located. It’s called the Windjammer Marketplace and it’s located towards the aft part of the ship, with views of either side of the ship, the basketball court and golf course and the zip line that spans the Boardwalk below. Normally, Decks 15 and 16 would be the main attraction on a smaller ship. And if this was a normal ship except with over 6,000 guests, this would be an overcrowding situation without a doubt. What makes the Oasis class ships different is the other areas mentioned above. The Promenade, Boardwalk, and Central Park and significant areas of interest by themselves, and they certainly draw a large number of guests away from the usual sun-bathing by the swimming pool activity that seems to be the standard on smaller ships. The existence of these other areas is how we can justify saying that crowds are not really an issue aboard these massive ships. Several times during your cruise the show Frozen in Time will be offered in Studio B, Deck 4. Photo by Donald Fink. The Oasis Class and Freedom Class ships have an ice rink. It’s called Studio B. This is another of those shows that you’ll want to see early on in the cruise if at all possible, because each time we’ve seen the show, we wanted to see it again. If you want to try your hand on the ice while at sea, there are times when guests can take to the rink too. 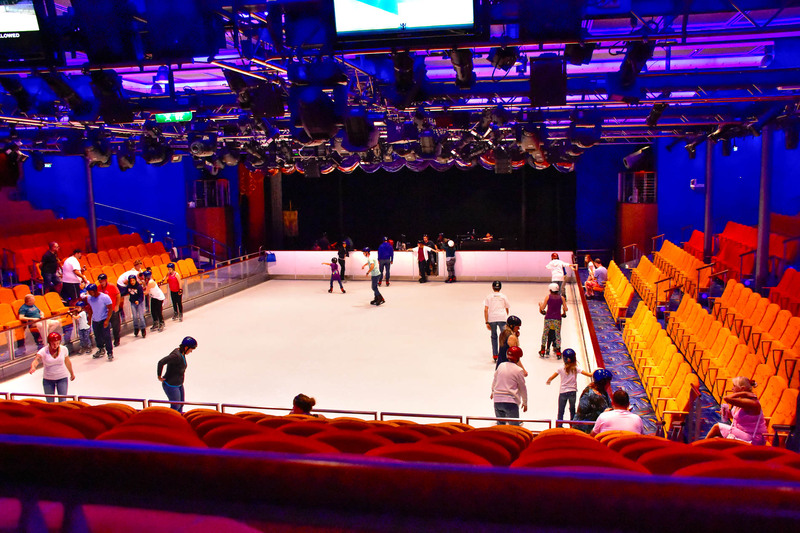 On our last cruise, there were two distinctive times for skating; one set aside for skaters who needed skates, and one for guests who brought their own ice skates onboard with them. 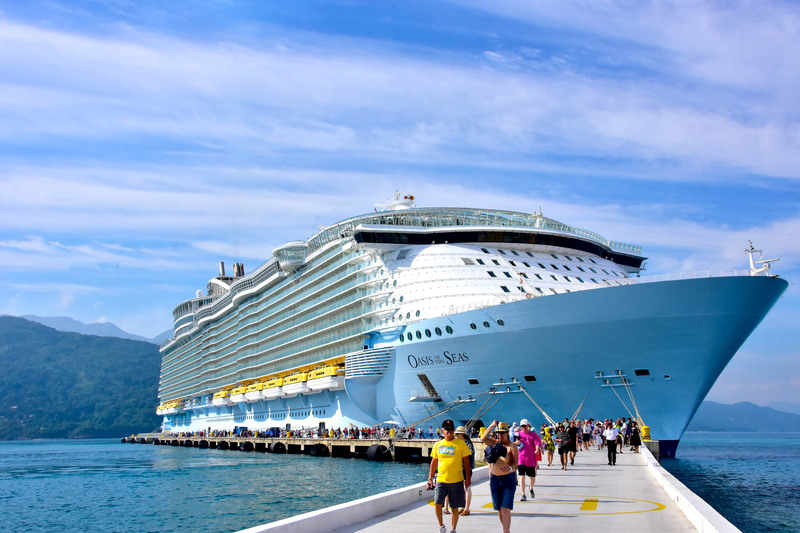 Normally we’d think that bringing ice skates along on a Caribbean cruise might be a classic case for overpacking, but not aboard the Oasis of the Seas. View of the Aquatheater and back of the ship. This is also the view you have if you have a boardwalk balcany. Photo by Bonnie Fink. 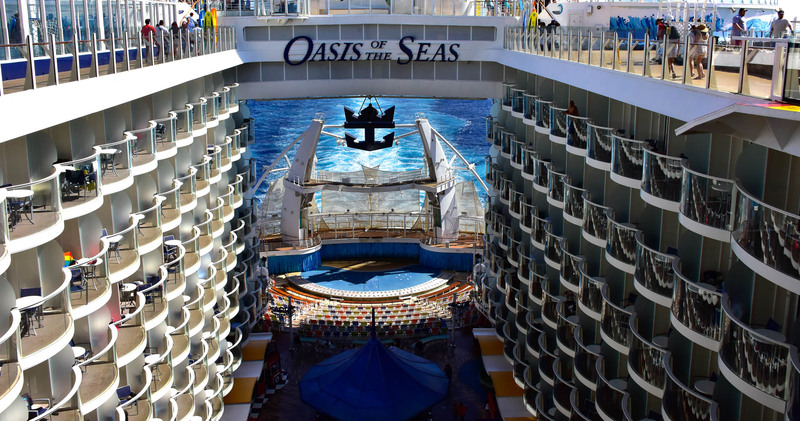 This is not close to a complete guide to all the Oasis of the Seas has to offer. We didn’t mention the theater, the gym, the great walk and running path on Deck 5, or even the three level main dining facility. 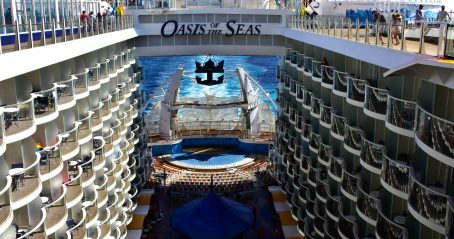 There’s no question that one of our favorite cruise lines is Royal Caribbean, and it’s no secret that of their massive fleet of ships, our favorite class of ship so far is the Oasis class. We’ve been sailing on Royal Caribbean since the 1990’s and they’ve always presented interesting ships with the “right” design. We must be in the middle of their target demographics, because they always have just the right amount of bling, the right amount of opulence, with surroundings that both wow us yet make us feel comfortable while we’re on-board. Passengers disembarking at Labadee, Haiti. Photo by Bonnie Fink. 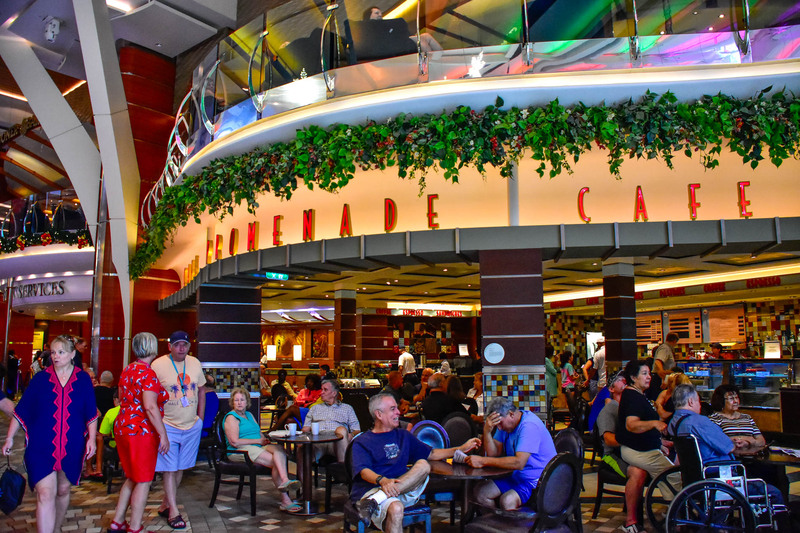 The Promenade Cafe is one of our favorite spots for coffee, cookies, and people watching. Regular coffee, snacks, and sandwiches are free. They also have specialty coffee for a fee. Photo by Bonnie Fink. Looking down the Promenade on deck 5. We were on the ship just after Thanksgiving, so the Christmas Decorations were up. Photo by Donald Fink. 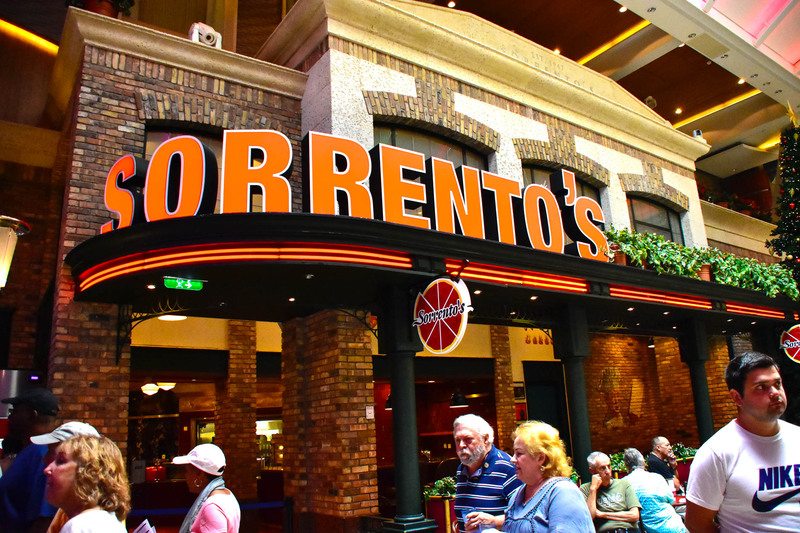 If you're craving Pizza, Sorrento's is on the Promenade, and it's compliimentary. Photo by Bonnie Fink. One of three main dinning rooms. Photo by Bonnie Fink. 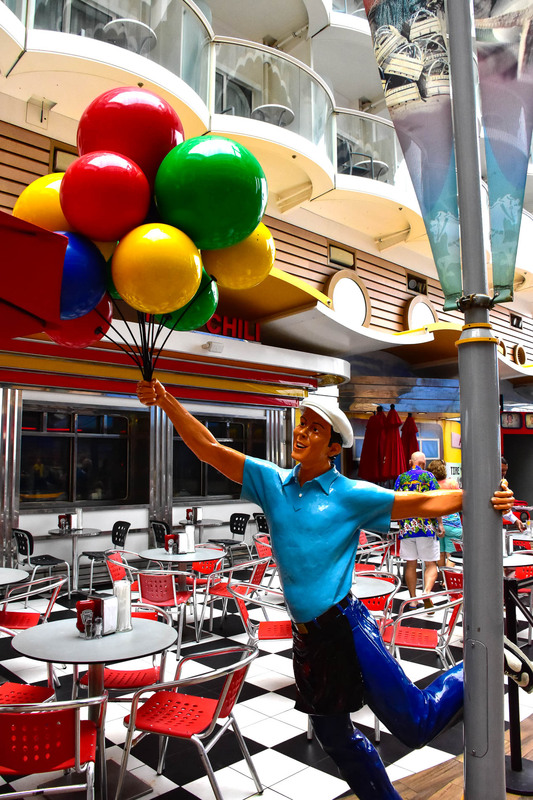 One of the many places you can find breakfast is at the American Icon Grill, on Deck 3. In the evening this is the My Time Dining room. Photo by Bonnie Fink. 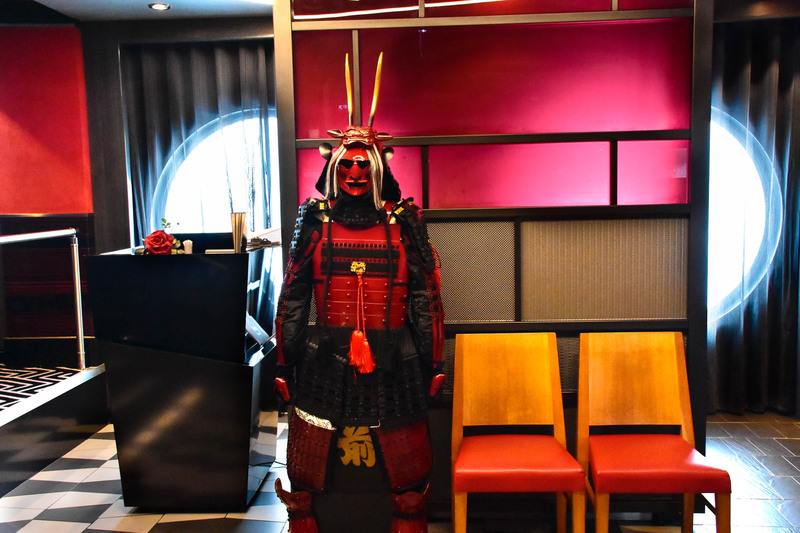 If you're looking for Sushi or a Japanese style Steakhouse, Izumi is what you're looking for, located on Deck 4. Photo by Bonnie Fink. 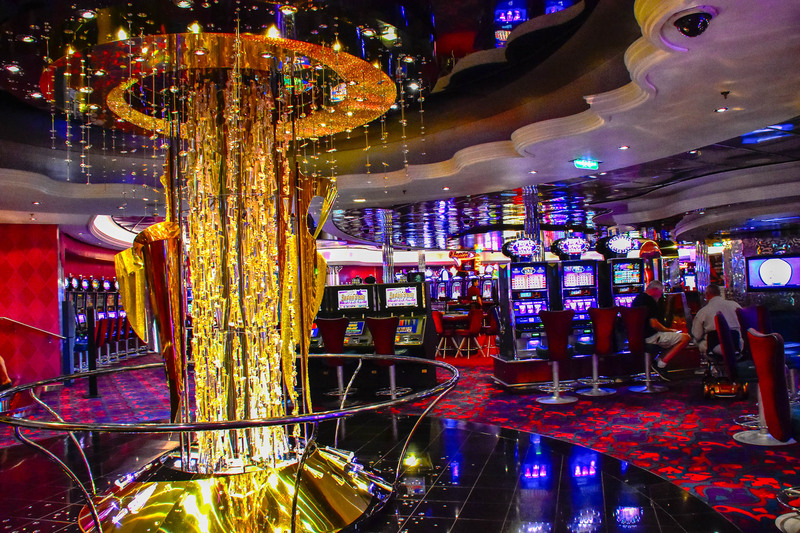 You can find Casino Royal on Deck 4. Photo by Bonnie Fink. Keep your eyes open. You will find interesting art work all over the ship. 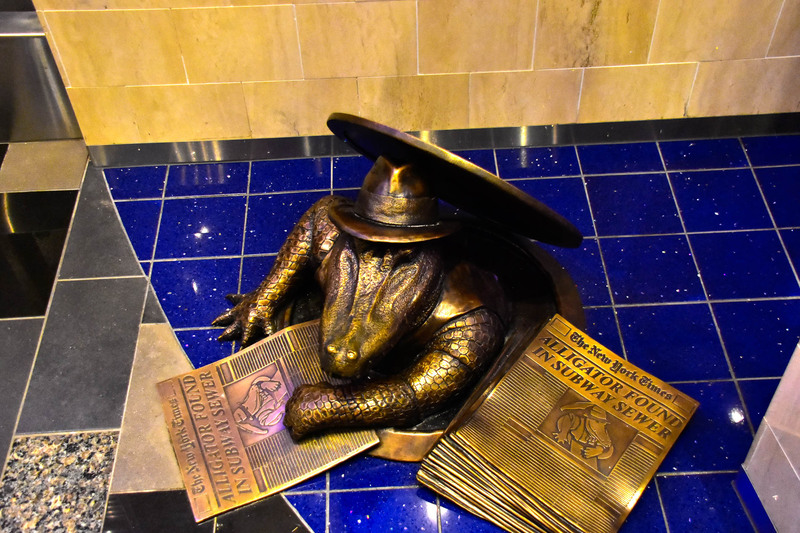 This Alligator was found on deck 4. Photo by Bonnie Fink. 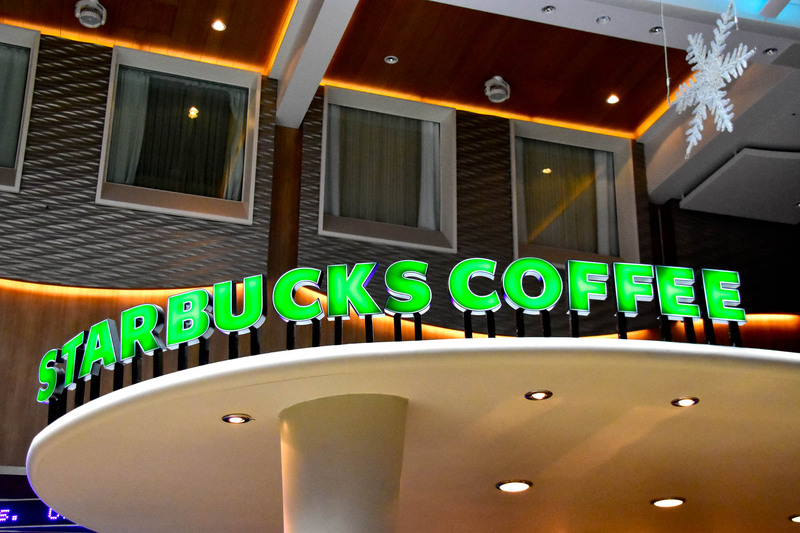 You can get your Starbucks fix on the Promenade, deck 5. Photo by Bonnie Fink. 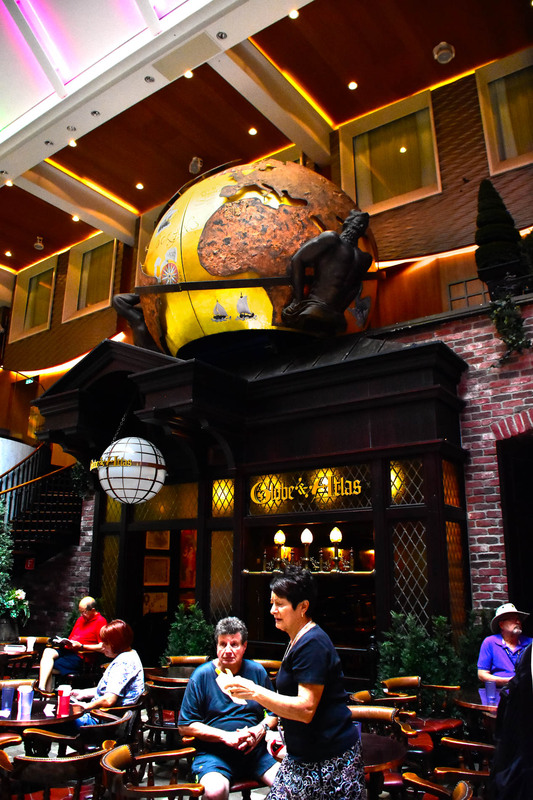 If you're looking for a cocktail or beer, the Globe & Atlas is a nice place to sit, have a drink, and people watch on the Promendade. Photo by Bonnie Fink. 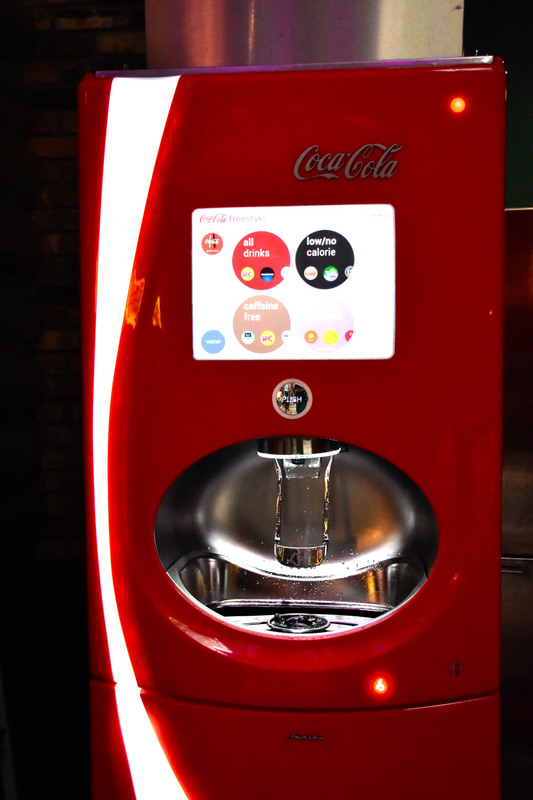 The Oasis of the Seas has a few Coca-Cola Freestyle machines on board, but reguire that you purchase a soda package to use them. The cups use RFID technology, so the machines "know" if you're on the right drink package. Photo by Bonnie Fink. We kept doing a double-take on these mannequins, thinking they were actually workers. But it's typical of the decorations aboard the Oasis of the Seas, providing artful scenes everywhere. This was above the gangway on the Promenade, Deck 5, as guests boarded the ship. Photo by Bonnie Fink. 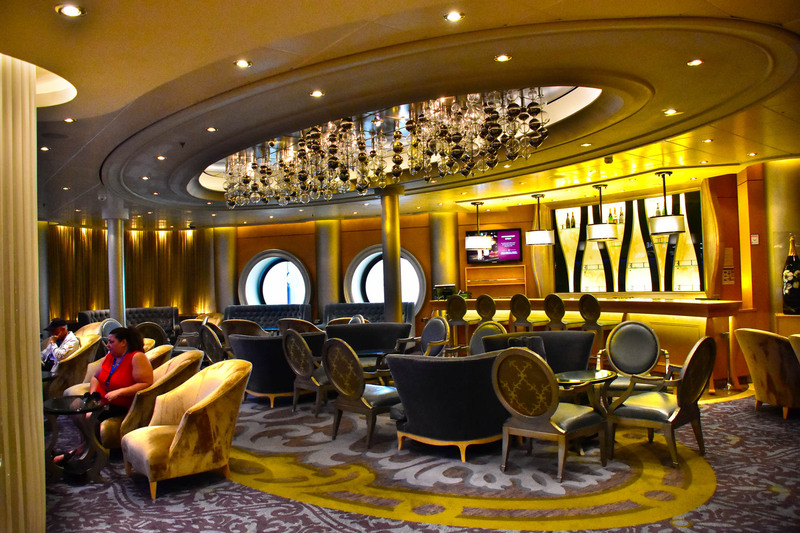 If you're looking for a pleasant spot to sit and enjoy a glass of Champagne, this is the bar for you on Deck 5. Photo by Bonnie Fink. The adults only Solarium, a nice quiet area to relax. It's located on Deck 15 forward. You can see the glass above the solarium is arranged to act as a wind deflector, keeping the Solarium comfortable while the ship is underway. 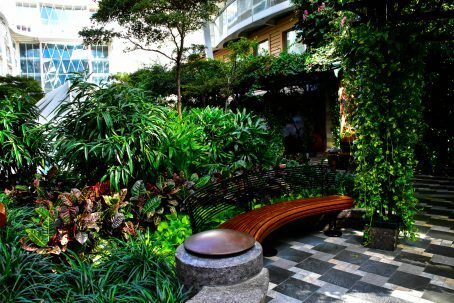 The Solarium features several whirlpools, an indoor/outdoor cafe, and areas to lounge in the sun. Photo by Bonnie Fink. Looking Down on Central Park. Looking down on Central Park, and the balcony cabins that overlook the Park. This area is mid-ship. The photo was taken from deck 15 and Central Park is on Deck 8. Photo by Bonnie Fink. 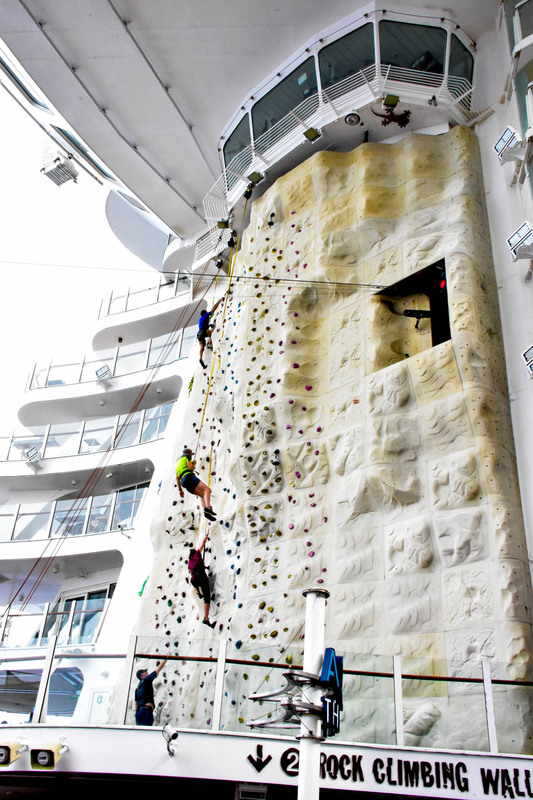 The Oasis of the Seas has two rock climbing walls if you'd like to give it a try. Photo by Bonnie Fink. Festive decorations outside Johnny Rockets. Johnny Rockets is a franchised American restaurant diner featuring 50s' era decor. Their hamburgers are authentic from the time and so are their milk shakes and malts. Photo by Bonnie Fink. 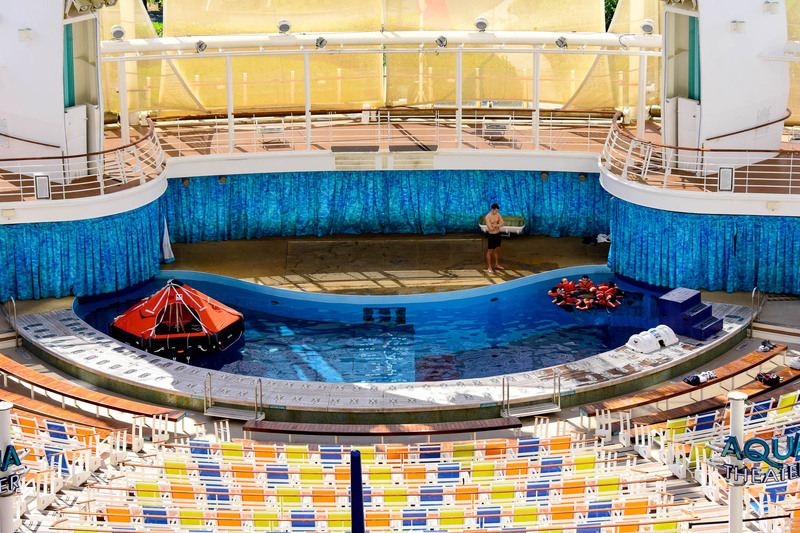 The Aquatheater is found on Deck 6, on the Boardwalk. The ship shows movies on the two giant screens, but the real highlight is the Oasis of Dreams Aqua Show. Photo by Donald Fink. The Oasis of Dreams Aquashow is in the pool and in the air. Photo by Bonnie Fink. 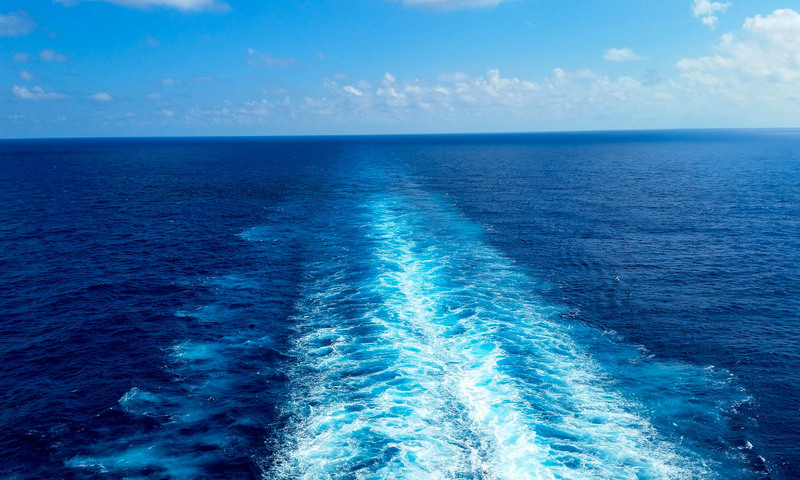 Have you ever wondered if the crew on a cruise ship will be any help in an emergency? On the Oasis, thee's room in the Aqua pool to actually practice their emergency skills as members of the crew are doing here. Photo by Donald Fink. The kids' pool, the H2O Zone is on Deck 15. Photo by Bonnie Fink. 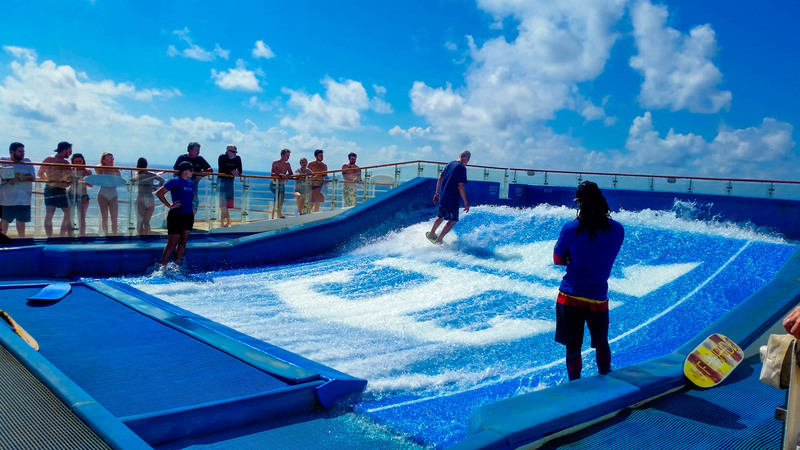 There are two Flowriders on deck 16 if you'd like to try your hand at surfing. Photo by Bonnie Fink. 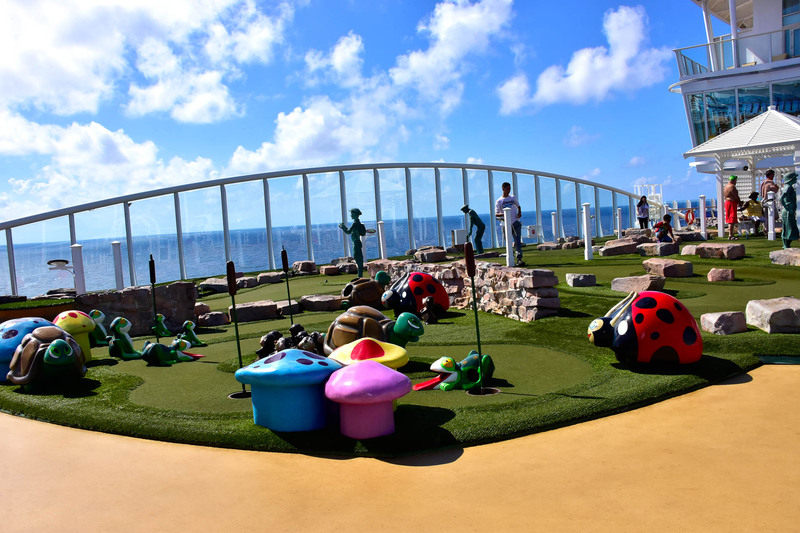 If you want to try your hand at Miniature Golf, give Oasis Dunes a try on deck 15. Photo by Bonnie Fink. 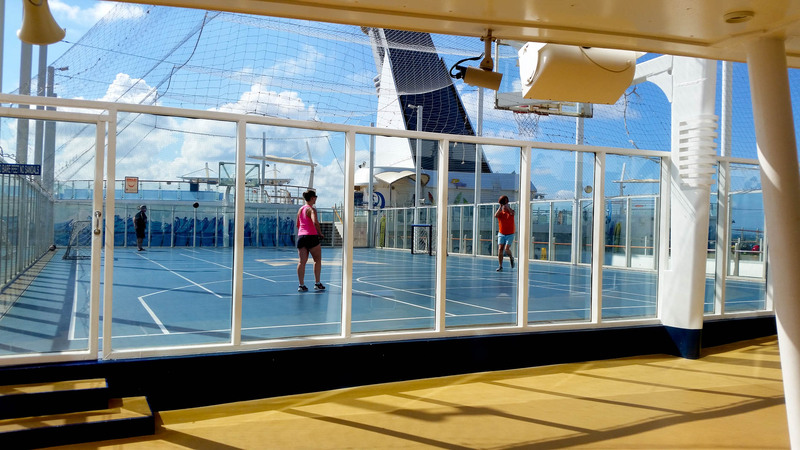 Basketball and soccer can be played at the Sports Court on Deck 15. Photo by Bonnie Fink. 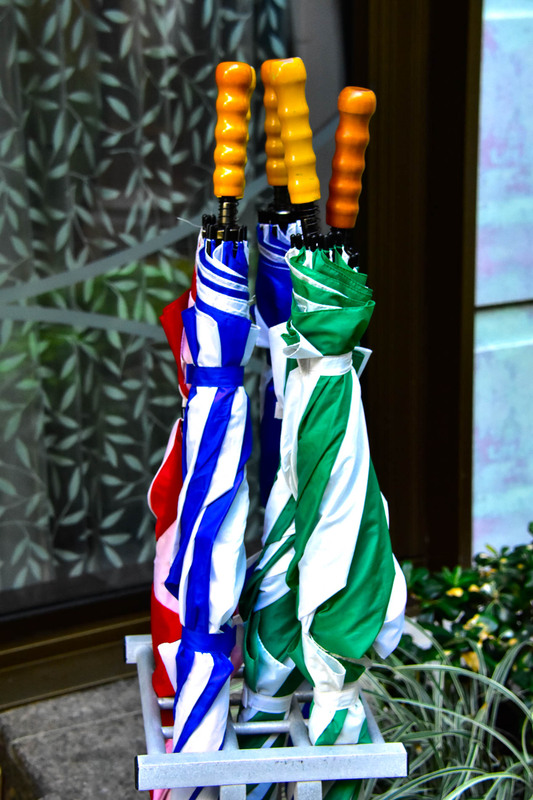 Since Central park is open to the elements you will find umbrellas for your use at both ends. Photo by Bonnie Fink. 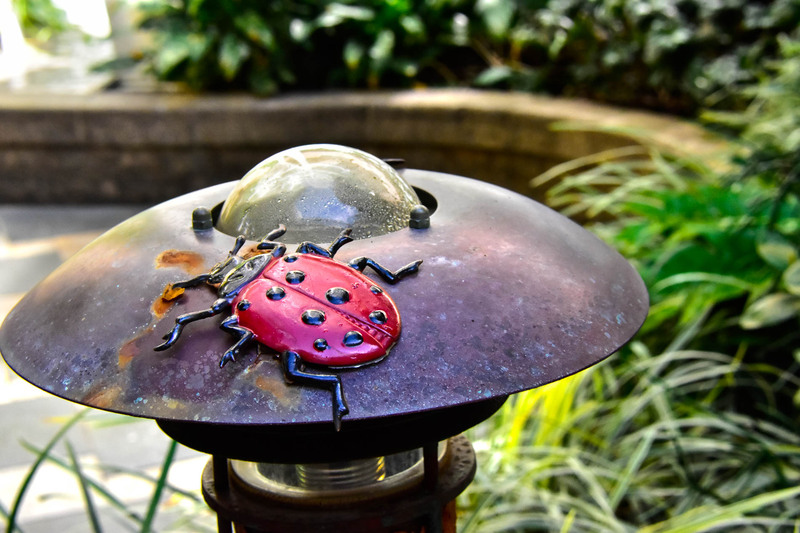 If you look at the details in Central Park you will find lots of interesting artwork. Central Park is on Deck 8. Photo by Bonnie Fink. Central Park is fun just to walk through. Photo by Bonnie Fink. 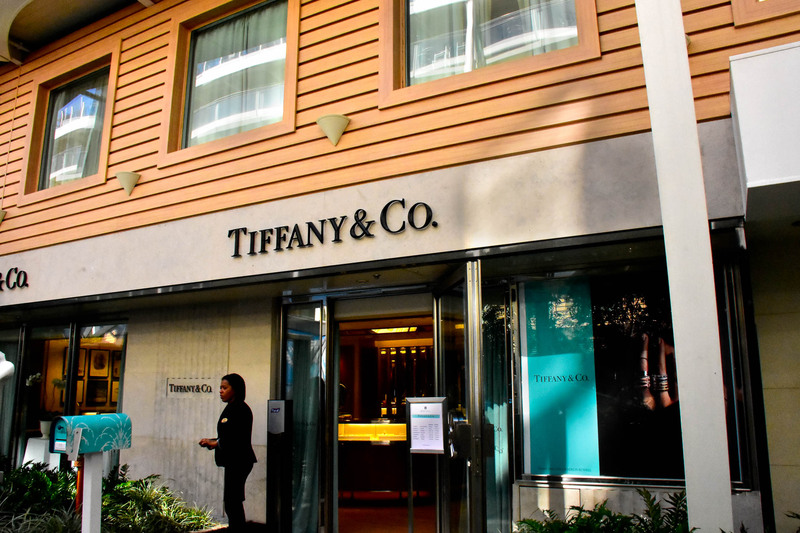 If you'd like to do a little shopping there is a Tiffany & Co. to look in while you are enjoying Central Park. Photo by Bonnie Fink. If you miss the cold weather you can try your ice skating at Studio B on Deck 4. Photo by Bonnie Fink. It's hard to reesist a shot of the wake of the ship as she sails through the blue Caribbean waters. Photo by Bonnie Fink.